After Steely Dan’s reunion tours of the ’90s, Walter Becker and Donald Fagen finally released a new studio LP — nearly 20 years after Gaucho. The magic of the ’70s was definitely back, but their album was not as slickly produced as more recent solo releases like Fagen’s Kamakiriad and Becker’s Eleven Tracks of Whack and favored a more live drum sound. The songs are varied, the chord changes progressive, the grooves deep, the horn arrangements bright, and Fagen’s voice is in top form. Indeed, Two Against Nature won four Grammys including Album of the Year. For Steely Dan’s debut album, Becker, Fagen, and producer Gary Katz assembled what they thought was the perfect team to fully realize their esoteric compositions; this intrepid LP was quite eclectic with a clever blend of rock, jazz, and Latin-tinged grooves. And although the lyrics weren’t their most obtuse, they still painted enigmatic portraits of sympathetic, sometimes sordid characters living on the fringes of society. Musically, Steely Dan quickly demonstrated the sophistication that would grow with each album. Becker and Fagen may have considered the album “juvenile” in hindsight but Can’t Buy a Thrill was a Top 20 album that spawned two Top 20 singles nonetheless. After the tour supporting Two Against Nature, Becker and Fagen took a break before working on its follow up. Their approach for Everything Must Go was akin to what they did in the ’70s in more way than one. 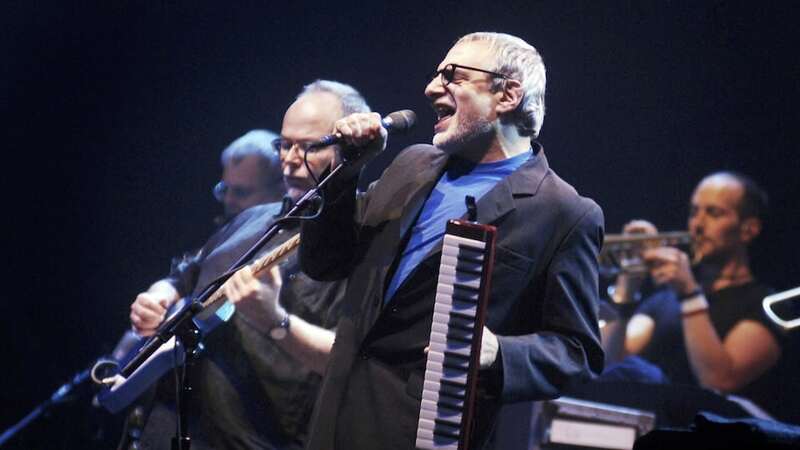 First, longtime-engineer Elliot Scheiner convinced them to record on 24-track analog tape; second, they recorded as a “band” — making this the first Steely Dan album since Countdown to Ecstasy to feature the same rhythm section on every tune. The songwriting is top-notch throughout while the funky grooves have a serious R&B bent. It swings in all the right places. In my opinion it’s an extremely underrated album. After the lackluster sales of Countdown to Ecstasy, Steely Dan tightened their arrangements, shortened the songs, and used the studio as a workshop. The strategy paid off big time, giving them their highest charting single ever: “Rikki Don’t Lose That Number.” Pretzel Logic is arguably Steely Dan’s most musically varied album with nods to country, baroque, R&B, jazz, funk, and rock all within 34 minutes. Since Becker and Fagen were having trouble generating new material, they revived earlier songs and recorded their first — and last — cover: Duke Ellington’s “East St. Louis Toodle-Oo.” Some of L.A.’s best studio musicians were brought on for this album — most notably session drummer Jim Gordon replacing previous Steely Dan regular Jim Hodder. For Steely Dan’s second album they decided to stretch a bit — literally with longer songs — as Fagen feared they’d been typecast by Can’t Buy a Thrill while Becker still wondered what type of group Steely Dan actually was. A sonic quest for an identity, Countdown to Ecstasy was clearly written with the band in mind and included the larger group developing arrangements. (Jeff “Skunk” Baxter in particular contributed integral parts to the songs.) Even so, this Steely Dan LP features more session musicians than the year before’s Thrill, and the tracks are more diverse with hard rockers (“Bodhisattva”), Latin jazzers (“Razor Boy”), funky groovers (“Your Gold Teeth” and “King of the World”) and country-tinged ballads (“Pearl of the Quarter”) all in the mix. While Becker and Fagen kept the songs short (a la Pretzel Logic), Katy Lied is notably jazzier both harmonically and stylistically, even as it spotlights ferocious guitar solos that necessitated seven different guitarists over ten songs. For his part, Fagen hardly plays the keyboards this time, relying instead on Michael Omartian and occasionally David Paich. Katy Lied also follows another trend set with Pretzel Logic: One drummer — Jeff Porcaro — is used for 90% of the tracks. Also on board: vocalist Michael McDonald whose soulful baritone would soon become a staple of pop and rock in the ’70s and ’80s. Sparsely produced with few overdubs, The Royal Scam is maybe Steely Dan’s most trend-aware album as the two embraced disco and reggae while putting together yet another fabulous rhythm section. Fagen himself has stated that on The Royal Scam, they were looking to produce an album with heavier bass and drums and that is exactly what they got. Interestingly, the duo hardly plays on the album with Bernard “Pretty” Purdie playing drums on all but two songs; Chuck Rainey handling the majority of basslines; Paul Griffin and Don Grolnick laying down the extremely soulful keyboards, and Larry Carlton playing guitar on most songs. The lyrics abound with topical references to drug dealers, prostitutes, infidels, criminals, immigrants, terrorists, and even somebody who just enjoyed prehistoric cave paintings. This is the album that catapulted Steely Dan to the upper echelons of rock royalty. 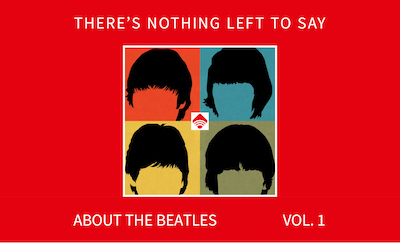 The songs are longer and more complex; the breadth of talent vast: six drummers, two bass players, five keyboard players, seven guitarists, two percussionists, ten horn players, and seven background vocalists over seven cuts. There’s an unprecedented polish on this timeless album which, perhaps more than any other Steely Dan LP showcases Becker’s and Fagen’s fondness for horns which feature on five of the seven songs: two songs with saxophone solos and one featuring the Lyricon, an electronic wind instrument. Many believe that the sound of Aja is the sound of Steely Dan: R&B grooves, Fender Rhodes electric piano, sparkling acoustic piano, funky bass lines, crafty rhythm guitar, blistering guitar solos, jazzy horn sections, and sultry background vocals. It may just be the perfect amalgamation of all things Dan. I stopped reading when I saw that you rank Can’t Buy a Thrill, one of the best albums of 1972 and one of the finest debuts by any band, at #8. Worse, you rank it behind Everything Must Go. If you may be too young to recall Steely Dan in the 1970s, it’s terrific that you have discovered them enjoy their work. They were amazing. And I ask you only to listen again to their first three albums. But if, like me, you recall their entire run vividly, watched them perform on The Midnight Special, purchased each album as they released it, played it to death and felt that each song sounded better with every spin — while trying again and again to figure what the hell half of them are about– think of summer whenever you hear “Rikki, etc” and, having missed their only concert tour (in 1974), despaired for nearly two decades of ever having the chance to see them perform on stage, well, all I can say to you is this: What on Earth are you thinking? Best regards, MG P.S. I finished reading your list after I recovered from the shock of seeing CBAT at the bottom. Notwithstanding my objection to the order, the ranking of these albums is a good idea, and I thank you for having done it. Thanks for the thoughtful analysis of the SD catalog, seems like such a challenge because each album has it’s own unique characteristics and the styles cross musical genres. Doubtful that there will ever be a true consensus about ranking the order from “best” to “worst” although it’s hard to dispute Aja as the masterpiece.